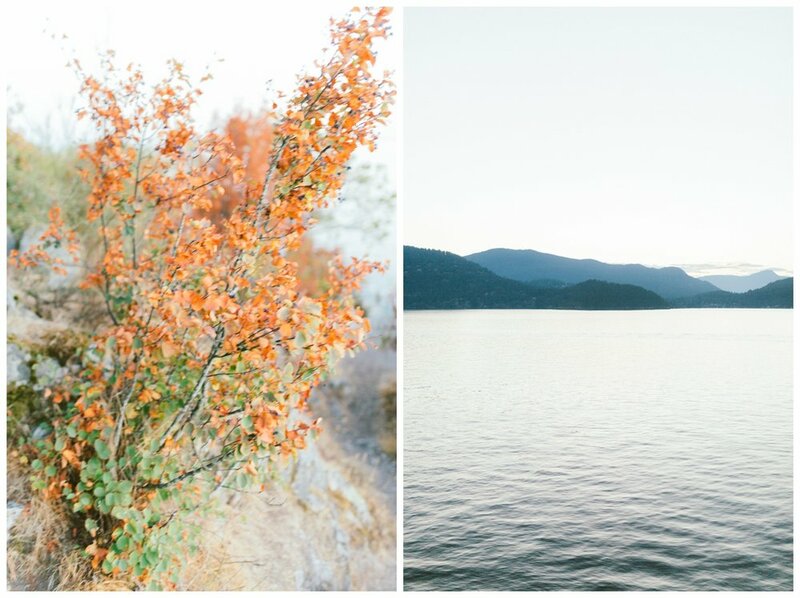 I have always been interested in working with movement, texture, colours, and form. 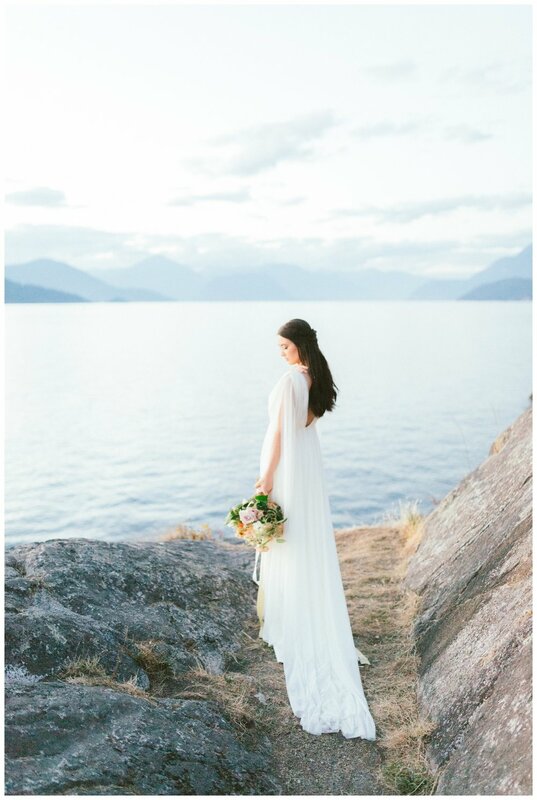 This styled bridal look is meant to inspire brides to embrace the nature we have here in the West Coast, and to be bold and thoughtful on how to complement different elements. 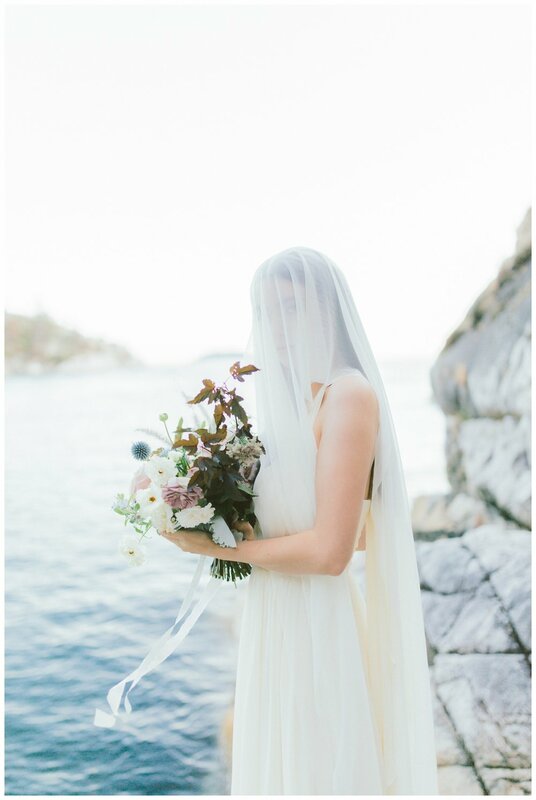 Hannah Tikkanen designed a gown that is ethereal with the most elegant, soft texture—beautifully contrasting the rocky landscape by the ocean. 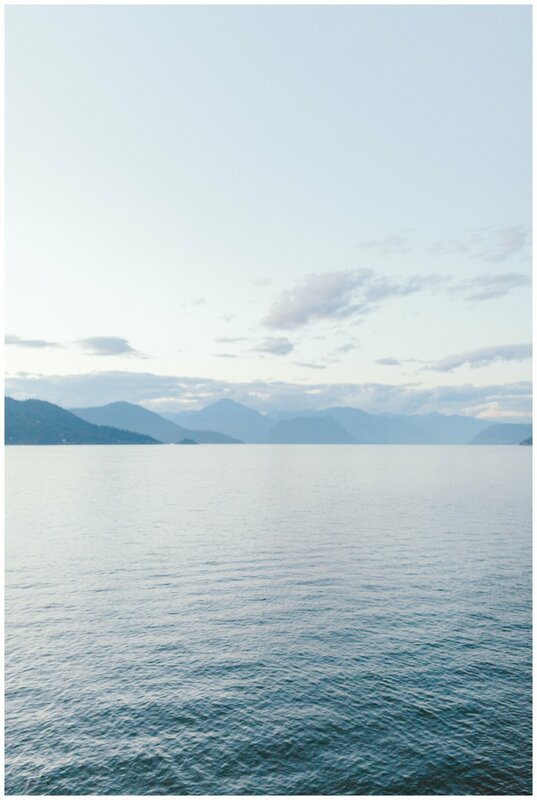 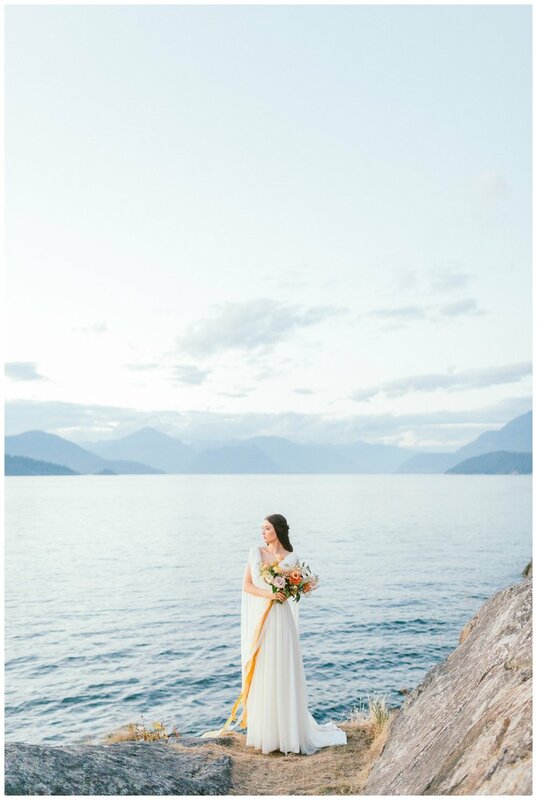 We featured two bouquets--one complementing the landscape with a soft colour palette, while the second one boldly contrasts the West Coast blue. 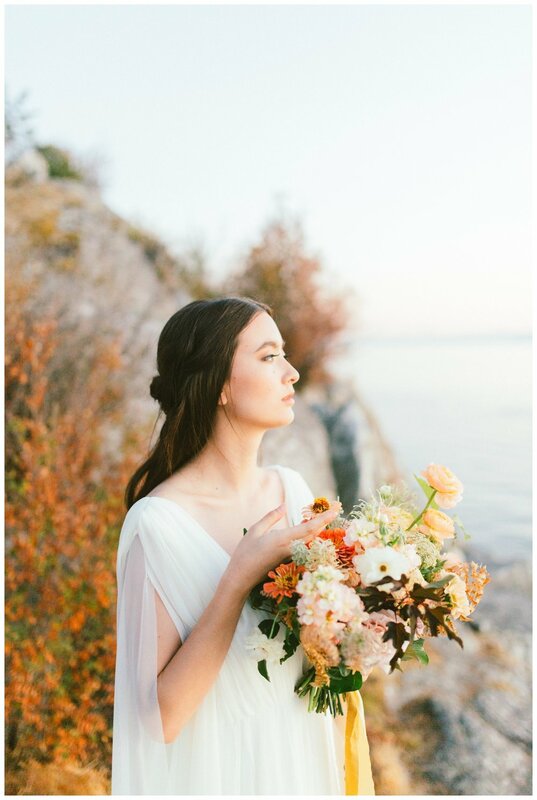 Orange, brown and blue might not sound like a good match to one another, but perhaps that's what makes this colour palette uniquely daring. 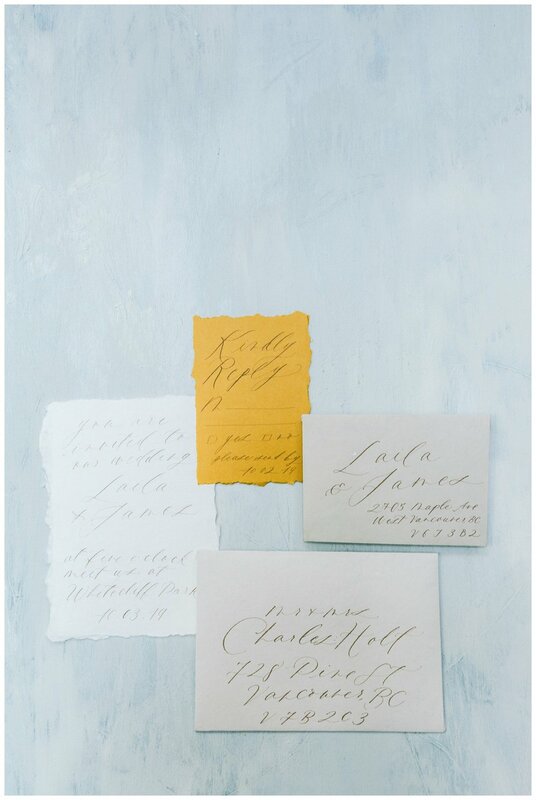 Liza's calligraphy work wraps up the theme of this styled shoot perfectly, finding the perfect balance between texture and colours.